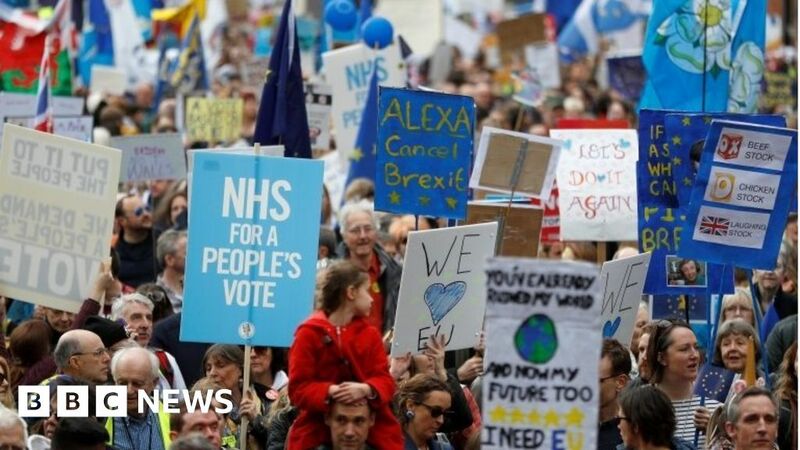 Hundreds of thousands of people gathered in central London for a march to support a further referendum on the UK’s relationship with the European Union. Under the slogan “Put It To The People”, protesters filled the streets from Park Lane to Parliament Square. Meanwhile, PM Theresa May is coming under pressure to resign after saying she might not put her Brexit deal to a third vote by MPs.